As years go, 2016 pretty much sucked. Yes, there were good things that happened, but not many. 2015 ended with my family struggling financially. 2016 just increased those struggles. Instead of just living, our main focus most of this year has been how are we going to keep a roof over our heads. There seems to be some light in the tunnel early in 2017...but with our luck, it's just a semi headed our way. Health issues have also been a problem. My chronic pain is only getting worse, and it's now getting to a point where even normal daily activities are becoming difficult for me. In addition, Rebecca was diagnosed with a chronic disease that will plague her for the rest of her life. All of this has led to more medical expenses...fun, fun, fun. Overall, the family is doing well, and this is one of the few bright spots of the year. I didn't do much writing this year, but that picked up some towards the end of the year, so maybe there's hope in the new year. There also wasn't much design work on the Ephemeris RPG done this year. A few supplements were released, and I did start work on a new supplement for the Battle for Turtle Island RPG, but still, not enough work was done on any of these. I have done a lot of editing this year. Nomadic Delirium Press released several books this year and also several magazines, and while the quality of the work I've included in them has continued to increase, sales have not followed. The publications are growing slowly, but they aren't selling anywhere near the number of copies as they should. There is some great work in these books, and they deserve to be read by more people. There are just a few days left to save 50% off of our fiction titles at DriveThruFiction. Go to http://www.drivethrufiction.com/browse/pub/2805/Nomadic-Delirium-Press and order now before you run out of time!!! Nomadic Delirium and Alban Lake, both publishers of science fiction and fantasy, and all points in between, have collaborated to bring you the very best of what they published in 2015. The selections within come from The Martian Wave and The Fifth Di…, and from Outposts of Beyond and FrostFire Worlds. Their settings might be an inner planet or a world-that-might-be. Their themes are universal, involving choices we all have to make at one point or another in our lives. This is science fiction and fantasy literature at its finest. This is the first anthology of its kind; it won’t be the last. I've made quite a few changes to my website. I've taken out a lot of the useless stuff, and I've taken out a lot of the text...mostly focusing on the stuff I've written and edited. A lot of the text on the website was just copied from this blog, so why bother with it? It's been a few years since I first created The Battle for Turtle Island RPG, but I'm happy to say that I'm now working on the first expansion for the game. This will be Pueblo Wars, so I'm guessing you'll be able to figure out where it's set. There's no telling how long it will take me to actually create the rulebook, but I'm hoping to have available in the Spring of 2017. What is Nomadic Delirium Press reading for? Would you like free magazines? The December 2016 issue of The Fifth Di... is now available. The December 2016 issue of The Fifth Di… brings you fiction by Chris Dean, Samuel Van Pelt, Brian “flesheater” Stoneking, and Douglas Kolacki. Save 50% on many of our Ephemeris Science Fiction RPG titles at DriveThruRPG. Time to stock up on what you don't have, or time to pick up a new game. Starting on Black Friday and running through Cyber Monday, you can pick up titles from my store for 50% off. Just go to http://www.jalanerwine.com/blog/shop, load up your cart with as many e-titles as you'd like...which should be all of them...and then use the code "blackfriday" at checkout. Today is the day to give thanks, and although 2016 has been one of the worst years I've ever known, there are still things to be thankful for. First and foremost, I'm thankful for my amazing wife and my three wonderful daughters. They are the reason for everything that I do in my life, and they give me the strength to carry on when things become overwhelming. I'm also thankful for my extended family and my friends...which are basically the same thing to me. Even though I don't see any of you as much as I'd like, I'm still glad that you're there, and hope to some day find the time to spend with all of you. I'm also thankful for my fans (all two of you). No, I don't really know how many readers I have out there...but I know there are some, and I'm thankful that you find my warped imagination entertaining. I hope you all have a wonderful holiday...don't eat too much...and be careful if you're going to be shopping on Black Friday. The world is getting scarier every day, and I don't want to lose any of you. It may still be a week until the release of the December issue of The Fifth Di…, but you can pick up the e-book version today! Not only can you start reading it today, but you can buy it for just $1.00 through our website at http://nomadicdeliriumpress.com/blog/product/the-fifth-di-december-2016/. We've made some major changes to our Patreon. Instead of just focusing on the Ephemeris RPG, we're focusing on every aspect of Nomadic Delirium Press. Supporting us will give you a chance to pick up all of our future titles, possibly advertise in our magazines, and even influence what anthologies we choose for the future. That's right, we plan on posting polls that will allow our Patrons to influence what titles we read for...and why not? If you're supporting us, you should have some say in what you want to read. So, please go to https://www.patreon.com/user?u=4369995 and make the wise choice to be our Patrons. Oh, America, what have you done? I'm not talking specifically about the election of Donald Trump. No, that's the disease that infects America going into its terminal stage. I'm talking about what has led us to this moment. For most of my adulthood I have been advocating the destruction of the two party system in America because every election more and more people have been voting for the lesser of two evils, and we were finally left with Clinton vs. Trump...two of the most hated people in America were suddenly running for president. If we would have destroyed the two party system in the days of Perot or Nader, we wouldn't have been in this position. The democrats would have nominated someone that democrats could actually believe in and the republicans would have nominated someone that republicans could actually believe in, and the third, fourth, and fifth parties (whoever they might have been) could have put up people that they actually believe in. Instead, we were left with democrats hating themselves for voting for Clinton and republicans hating themselves for voting for Trump, and the truth is, most of the people that voted for either of these candidates actually were not voting for them, but rather voting against their opponents. How can that possibly be a good way to choose a president? With more candidates in all elections, there are more opportunities for real CHOICE. What's done is done. We have what we have, and I can honestly say that the future terrifies me...somewhat for myself, but more for my kids and friends. Trump has advocated hate against anyone that isn't white and Christian. I may be white, but I'm also an Atheist, and when it comes to religion, the only group that is hated more than Atheists in America is Muslims...so when the radical Christian Right (and I'm not talking about all Christians) deals with the Muslim "problem," where do you think their eyes will turn next? Even worse, I have two bi-racial daughters. What kind of a world are these two girls going to have to live in simply because one of their parents was black? They didn't ask for that. It's not a choice, and yet they will face even more racism than they already do, and believe me, they do face it, especially living with two white parents. My biggest fear is for my friends. I have many friends that are black, Hispanic, Asian, or Native American. When the radical white folk that Trump is stirring up go looking for victims, where do you think they're going to look? Although I do have a lot of friends who are Christians, I also have a lot of friends who are Atheists, or Jewish, or Muslim. The world got a lot darker for these people. I also have many friends who are gay, many of whom recently got married, and now they could face having their marriages annulled by the government...talk about Big Brother. And let's remember that the scariness goes beyond Trump. It was Pence that was advocating jail time for gays that wanted to apply for a marriage license. Gay people in this country already face an enormous amount of prejudice, and it's only going to get worse. One of my very best friends is a trans-female. What kind of crap is she going to have to put up with because of what's coming? And again, it's not just Trump. Shortly after his inauguration he will be able to appoint a supreme court justice and with a republican congress, that person will almost certainly be approved, and I'm absolutely terrified that he's going to appoint his best buddy Rudy Giuliani. Can you imagine what the world will be like if he's allowed to rule on laws for the next decade or two? There's a man who's been drinking in the crazy Kool-Aid for far too long. Something else we're probably facing is the dismantling of the Affordable Care Act. I know there are a lot of problems with it, but some good things have come out of it...such as the fact that insurance companies have to accept patients even with pre-existing conditions. I've never shopped the market for insurance. We get ours through Rebecca's work, and even though as a family of five with a low income, we actually could qualify for Medicaid, we've always chosen to have private insurance because the coverage is better and it allows us to keep our doctors (whom we love). We've made this choice even though it was a financial burden on us, because we felt the care was more important than the money. Note to some Republicans...not all poor people take "handouts." If the insurance companies are allowed to go back to what they used to do, they could start denying pre-existing conditions. My chronic pain is a pre-existing condition, meaning that they could deny me my medications, and probably even deny me the surgery that I almost certainly need to correct the problem that is getting worse every day. Where will that leave me? No medication and no treatment available...I can't imagine how I'm possibly supposed to survive that. Even with medications, there are days when I wonder if it's worth it to continue on. If I can't get help, what choices will I have left? America has survived a lot. It will most likely survive Trump, but will all Americans? We've just created a Patreon account to support the Ephemeris RPG. As many of you know, the Ephemeris RPG has been around for several years, and we've slowly been expanding it, but this Patreon account will hopefully give us the money to free up the time we need to create more, and to create faster...and to even start work on Ephemeris 2.0. So does that mean I don't have to see any more political ads or have the damn fliers fall out of my mail box anymore? Probably not. Some people may say that I wasted my vote, and some say that my vote was a vote for the great pumpkin head, but the truth is, I voted according to my conscience. How many people that voted for Clinton or Trump can say that? I've heard so many people talking about how disgusted they felt with themselves after voting for one or the other, but I don't feel that way. I voted for a party that I can actually believe in. I no longer believe in the Democrats or the Republicans. They're both owned by the corporations and they no longer care about We the People. As I've been saying for over a decade now, until we break the two party system that we're a victim of, we will all continue to be prisoners. Believe me, Clinton or Trump and their cronies are not going to do anything for you. They're in this for themselves and the companies that line their pockets!!! Do I expect my candidate to win? Of course not. This may go against everything we're taught as Americans, but winning isn't everything...nor is voting for the lesser of two evils a good choice. Look where that's gotten us! What I would like to see is for both Johnson and Stein to pull 5% in this election. This gives the Greens and the Libertarians federal funding in the next presidential election, which makes it easier for them to try to counter the insane amount of corporate money that goes to the democrats and republicans. In addition, it gives them automatic ballot access in all fifty states, which means less time has to be taken trying to get on the ballots, and more time can be devoted to destroying the broken system. We absolutely hate doing this, but there doesn't seem to be any choice. As many of you know the copies of the September issue of The Fifth Di... and The Martian Wave: 2016 were recently destroyed when UPS left them in front of our door just before a rain storm. Both UPS and the printer have decided that since we didn't insure the package, there won't be a refund. Normally, there's a little bit of money in the family account that we could divert to Nomadic Delirium Press in this kind of an emergency, but this has been a tough year for us personally, so there is no money available. This has left us with having to go with a GoFundMe project...which we really hate doing, but we want to get the books to the contributors, so we don't have a choice. Through Nomadic Delirium Press, I recently kicked off a project called, The Divided States of America, and I've received a couple of messages from authors telling me that the way I have the project set up isn't how publishing works. The basic premise is that the US has fallen into several nation-states, and I've created basic backgrounds for each of these nation-states for authors to use as guidelines. This, however, isn't what they have the problem with. We're not publishing these stories in an anthology (yet)...we're publishing each story as an e-book, and splitting the profits with the author. This, apparently, is not how publishing works. As a publisher, these authors are trying to say that we should publish everything as an anthology. This is how it's always been done. We're now reading for a new project called "The Divided States of America." The first state to break away from the USA was, not unexpectedly, Texas, and from there, things continued to spiral out of control as the national government tried to hold on to control that the state governments wanted back, and eventually, the federal government was no longer able to control the states, and the break-up came about. Some of the nation-states kept the name “America” in their new names. Some did this as a tribute to where they had come from, while others did it to remind their citizens of what they were breaking away from. Others adopted new names, or took on names that were given to them. Borders in some areas are heavily patrolled, even walled in places, while other borders have no protection at all…mostly it depends on the views of the new government and its citizens, even though sometimes those two groups still don’t agree. Let’s face it, greed and independence are bred into the human race, and even allying with others that have similar viewpoints does not necessarily mean that they will always get along. 2016 has been one catastrophe, fiasco, and disaster after another, and September was no different. As a result, I haven't been able to get as much done as I've needed, and this has included blogging...which has really been suffering this year. October isn't looking very good so far, but I will try to blog more. The September 2016 issue of The Fifth Di.. is now available at http://nomadicdeliriumpress.com/fifth.htm. It is also available anywhere else that print and e-books are sold. The September 2016 issue of The Fifth Di… features fiction from Robert N. Stephenson, G. O. Clark, Rik Hunik, and Rick Novy. A woman trapped on a conquered planet spends her days harvesting human blood for her alien conquerors, plotting her escape and eventual revenge. An astronaut goes back in time, and hopes to leave his mark on the future. An acid induced parlor trick leads to the creation of living origami goats that eat paper and become a menace…but not as big of a menace as the predator that’s created to take care of the goats. And finally, a man becomes a butler for an eccentric rich man, but he has no idea just how eccentric the man really is, and then he must figure out how to stop him. 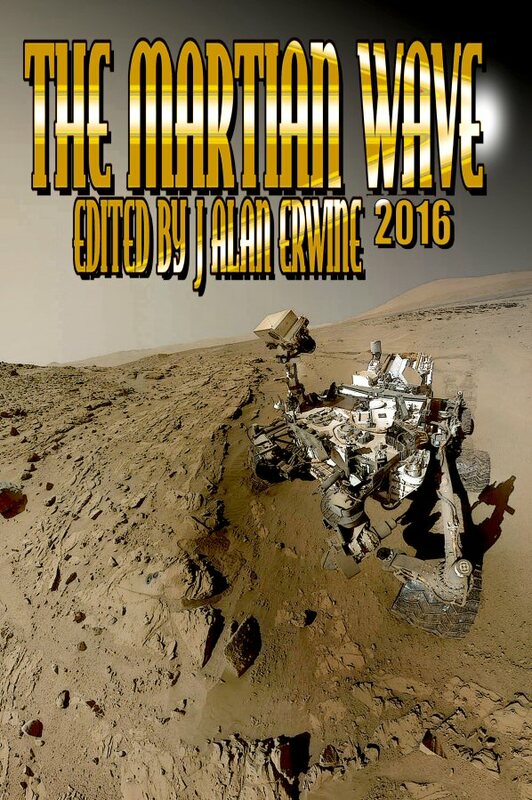 You can order the e-book versions of the new issues of The Martian Wave and The Fifth Di... directly from my website at http://www.jalanerwine.com/blog/shop. So, the only way I can get into see this guy is to prove that there's no one in-network who would be capable of doing the surgery...which of course is interesting, since we hadn't even talked about an actual surgery yet. We just wanted to see what kinds of options I might have. So, now it's back to the drawing board as we try to find a surgeon who performs this operation (whatever that operation might be), who accepts our particular insurance, and who works with adults, since the majority of cardio-thoracic surgeons that deal with these kinds of issues work with kids. This will be interesting. Now, thanks to another screw over by the insurance companies, I have to be in continuing pain, which is getting worse, especially as I'm having to work harder and harder each day at the "real" job. For example, I didn't get much sleep last night because I was so nauseous that I thought I was going to throw up, and it's not because I'm sick, it's just because I'm in so much pain. So, I would again say that government needs to do something useful (like that ever happens) and reign in the insurance companies, and the pharmaceutical companies, instead of letting these companies set policy for the government. If you'd like to read the new issue of The Martian Wave early, now's your chance. Although the official release date is September 1st, we're making the e-book version available today through our website. And instead of paying the normal $3.99 for your issue, you can get it for just $2.99...but this sale is only good until the release date, so you need to order soon. Go to http://nomadicdeliriumpress.com/blog/product/the-martian-wave-2016/ and order your copy now. We're still a week away from the release of the September issue of The Fifth Di..., but you can pick up your e-book version of it right now from our website at http://nomadicdeliriumpress.com/blog/product/the-fifth-di-september-2016/. Not only can you be one of the first to read it, but you can also pick it up for just $1.49, but this sale ends at the end of the month, so order now. This blog has been very quiet this month. Mostly it's because we've been crazy busy here, and also because many of the posts I've been thinking of have been political rants...and I just don't feel like getting into that right now. Why have we been so busy? Back to school has been the main reason, and this year Alexis started Kindergarten, meaning that we had three different back to school nights, three different start dates, three different kids to buy clothes and supplies for...in other words, a lot has been going on. It's impossible to believe that Alexis is actually in Kindergarten now, but I guess that's what happens...kids grow up, whether we want them to or not. I've also been getting two zines put together and reading for two anthologies...more on those later. As far as our health issues, I've been suffering quite a bit more. Even four hour shifts at the "real" job leave me in excruciating pain. I'm working on setting up an appointment with a surgeon, but they want me to get another CT scan, and I can't say I'm thrilled with the idea of another massive radiation dose, but maybe there's something he can do for me, as the meds don't seem to be doing it for me like they were. If I take it easy, the pain is manageable, but exertion makes it difficult to do much. Rebecca is still dealing with her issues, but we do have an appointment with a specialist in early September, but it still will probably take a while to get her meds right, so who knows how long it will take for her to get some relief...hopefully not too long. Well, that pretty much sums up my recent absence. You can expect the typical promotional blog posts, as well as the occasional rant as I finally get caught up on everything I need to get done. The pre-sale for the 2016 issue of The Martian Wave has begun. You can pre-order your print copy from us for just $9 until the release date of September 1st. The print version of the zine will also be appearing in other on-line markets in the weeks to come. You can pre-order the e-book version of the zine from just about every on-line source now. To order your copy, go to http://nomadicdeliriumpress.com/tmw.htm and link to the site you want to order from. For the rest of July, you can get 25% off your entire order from the Nomadic Delirium Press store. This is a discount off of any of our e-books or print books. This includes novels, anthologies, collections, magazines, RPG supplements, and everything else we carry. Simply go to http://nomadicdeliriumpress.com/blog/shop and use the coupon code "25off" at checkout. Here is the cover for the 2016 issue of The Martian Wave. Cover "art" is Curiosity on Mars, with cover design by the multi-talented Laura Givens. Pre-order info will be coming from Nomadic Delirium Press in early August, and the zine will actually be released on September 1st. And you can get 25% off any of our fiction titles at http://www.drivethrufiction.com/summersale.php?manufacturers_id=2805&filters=0_0_0_0_0_44595#selectpub. This includes our novels, magazines, anthologies, and collections. This is a great opportunity to save money on all of our great titles! An update on the pain front. I've been back on the meds I'm supposed to be on for just over two months now, but they don't seem to be as effective as they were before I was forced to change to another drug. I'm still not in as much pain as I am without the meds, but I'm definitely experiencing pain...especially after a day at the "real" job. I have to push myself so hard there that there are times that I come home and can't sleep because of the pain. Tylenol has never really done anything for any kind of pain that I have, and I can't take any other pain relievers because they interact badly with my medication. On the illness front, most of you don't know, but Rebecca has been dealing with a lot of sickness in the time that we've known each other...and before anyone says anything (Spencer), it's not because of being married to me. Over the years, she's had various things diagnosed, but never anything that actually explains everything that's wrong with her. Last week, we finally got a diagnosis that makes sense. She's dealing with a chronic illness that she doesn't want named...and no, it's not cancer, although it does increase her risk of developing cancer. The illness is something that she will have to deal with for the rest of her life, but at least now that we know what it is, we can hopefully get her on medication that will improve her quality of life. The July issue of Spaceports & Spidersilk has now been released and is available for download for just $1 at http://nomadicdeliriumpress.com/blog/product/spaceports-spidersilk-july-2016/. Saturday, June 18th is Free RPG Day, and Nomadic Delirium Press is offering the digital version of the Ephemeris RPG for free all day. Go to http://nomadicdeliriumpress.com/blog/product/ephemeris-a-science-fiction-rpg/ and order your digital copy today! My new "Tales" collection is now available. Seven stories from prize winning science fiction author J Alan Erwine that look at possible futures for our species throughout the solar system. Some stories are optimistic, most see us carrying our Earth-bound limitations into the future and out to the planets. These may be cautionary tales, but no matter what, they’ll leave you feeling that humanity does indeed have a future of exploring our solar system…if we can learn to survive on Earth. My next "Tales" collection is now available. 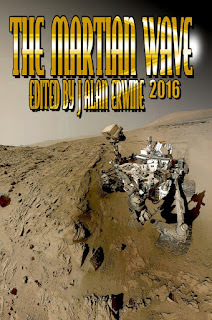 A new, three story collection, called J Alan Erwine's Tales of Mars has been released. This is the first in a series of "collections of tales" that will be coming out from me. They're basically a grouping of my stories, and they give my readers a chance to read my stories that are related to one another. So, what is J Alan Erwine's Tales of Mars? Three stories from prize winning science fiction author J Alan Erwine that are set on the planet Mars. One woman fights to save microbial life in Valles Marineris. And a young woman forced into a bad life because of her race suddenly finds herself to have abilities she never could have expected…abilities that might just be able to save her people. The June issue of The Fifth Di... is here! We've created three free e-books that will allow you to preview some of the works we've published so far. The three titles cover our novels, our collections, and our anthologies. Each of the free e-books teases you with a few pages from each of our titles. It’s still more than a week until the release of the new issue of The Fifth Di…, but you can order your copy now. Order the e-book, and it’s only $1.49 (normally ($1.99), and you can read it immediately. If you order the print version, your copy will be shipped once the book is released. 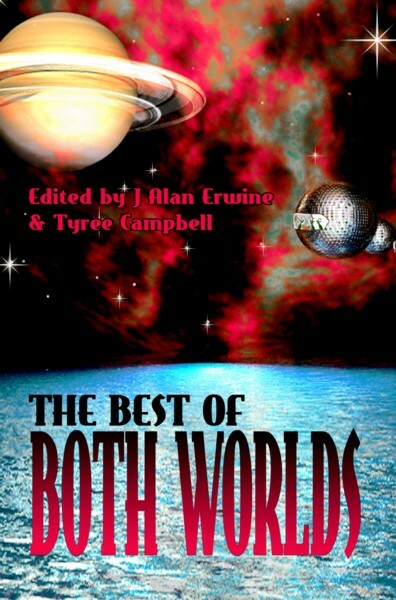 Alban Lake Publishing and Nomadic Delirium Press are pleased to announce a joint project entitled The Best of Both Worlds. Picking up where Wondrous Web Worlds left off many years ago, this collection will feature the best fantasy and science fiction short stories from the magazines published by both publishers. These stories have been selected by Tyree Campbell and J Alan Erwine, and they’ll feature a wide variety of science fiction and fantasy. Look for The Best of Both Worlds Vol. 1 this fall. Almost all of my published stories are available as individual e-books, and you can also pick up many of the books that I've written and edited...as well as some of the magazines I've edited. So if you need something to read this weekend, head over to http://www.jalanerwine.com/blog/shop and order some e-books today. You can be reading within seconds! Now that we have "real" insurance once again, I went to the doctor earlier this week and he put me back on the meds that actually do something to help with my chronic pain, so hopefully some time in the next week, my pain levels will be back down to a manageable level most of the time. While dealing with the doctor and the pharmacy, I started thinking about all of the complaints about "Obamacare." When it went into effect, our insurance rates did go up, but only because we added me to the insurance. If it had stayed Rebecca and the girls, we would have been paying slightly less. Now that we're on a new, and slightly better insurance, our rates are even lower. Not enough to make a huge difference in our financial lives, but when so many people are complaining about their rates skyrocketing, I wanted to make the point that this isn't necessarily true...people find it easier to complain that say good things. And as far as the pharmacy costs, on our old insurance, my prescription ran $20-25 a month. With the new insurance, it's covered 100% by the new insurance...so that's zero out of pocket cost for us. Maybe some people aren't happy with "Obamacare," but I can at least say that it is helping us...not to mention that under the old insurance rules, I might not have been able to get any coverage, since this is considered a previously existing condition. For the rest of the month of May, you can get 20% off your entire order through our store. Simply go to http://nomadicdeliriumpress.com/blog/shop and use the coupon code "may" at checkout. Maybe you've wanted to pick up one of Tyree Campbell's new books...or maybe you've been highly intrigued by Laura Givens' Crisis Averted...or maybe you'd like to check out one of our anthologies, or a magazine. The discount applies to both our print and e-book titles, so however you like to read your books, here's your chance. The discount is good on every title we carry, and it doesn't matter if you order one book, or one hundred, you get 20% off your total. So, what are you waiting for, follow that link! This includes several of my titles! Tyree's new book is out! Tyree Campbell's new novel, The Butterfly and the Sea Dragon: A Yoelin Thibbony Rescue has just been released, and it's a great book...you should really buy a copy! After the words “Havelox Rest,” Yoelin heard only the pounding of her heart. A wave of dizziness passed. Why there? Why did it have to be there? So who’s Yoelin Thibbony? That’s what she calls herself now. She endured a cruel and abusive childhood, when there was no one to rescue her. Now she performs Rescues of people or things—sometimes for hire, sometimes for free. She’s been hired to retrieve stolen archives. But to perform this Rescue, Yoelin has to return to Havelox Rest, the world of her childhood—a world that still holds dark and bleak terrors for her. May is Mental Health Awareness month, and so I thought I'd address a question that has come up a few times recently. I've had a few people ask me why I'm editing the Disharmony of the Spheres anthology. The simplest answer is that metal illness is a major problem in America, but the perception of mental illness is an even bigger problem. For some reason, people differentiate between physical illness and mental illness...when there really is no difference. Another reason that I decided to do this anthology is because there are a lot of people in the speculative fiction community, both writers and fans, who deal with mental illness, especially depression and anxiety. In talking to various people I've realized that there seems to be a disproportionate number of people in the speculative fiction community that are dealing with these issues, so it's important for people to see that even the mentally ill can succeed...and not only succeed, but excel, which is what many of the characters in the stories in Disharmony of the Spheres do. Even more importantly, depression is something that I've had a lot of experience with, as I've dealt with it most of my life. My reason for saying this isn't so that people will say things like, oh poor you, or wow, you've done well even with depression. No, I'm simply making a point that anyone can suffer from it. I don't need nor want pity or pats on the back. Although depression can be a debilitating illness, it is something that people can overcome with the right kind of support. Unfortunately, most people don't know what the right kind of support is. Many people think that sadness is depression, and from their point of view, it's easy to get through. Everyone in the world has dealt with sadness at some point in their lives, but this is not the same thing as depression. Comparing the two is like comparing a cold with bubonic plague. Yes, there are some similarities, but they are far from being the same thing. Sadness is only one small part of depression. Other things that don't help people with depression are saying things like pull yourself up by your bootstraps, or look at all the good things going on in your life. There are times when things like this can do more harm than good, because you're basically implying that a person should just get over their depression. That's the same thing as telling someone to just stop having the symptoms of a cold. They can't just stop being sick, and a person suffering from depression can not simply stop being depressed. Patience and understanding is what a depressed person needs more than anything else. Most of the time they just need to know that there are people there for them. I can say quite honestly if it weren't for my family and the amazing friends I've had throughout my life, I wouldn't be here right now. Sometimes a depressed person just can't take it anymore, and in this way, suicide is not necessarily a sign of weakness. In many ways, it's like a person suffering from cancer who can't take it anymore and allows themselves to die, even if there was a chance they could survive. In both cases, the person has given into their illness. Most would say it's a horrible thing to say that the cancer patient was weak because of their choice, but many people will say that the depressed person was weak. Many times, there's no difference between the two. If you know someone who is dealing with depression, or any mental illness for that matter, the best thing you can do is be there for that person. Let them know that you will always be there to listen to them, even if you think what they're saying is silly. To them, it's not. Last year, a very dear friend of mine almost left us because she was dealing with things on her own that no one knew about. Things that maybe we, as her friends, should have been more tuned in to. She's still going through a lot, but now she has a strong support system, and I'm hoping that she will get through this...just as I'm hoping everyone dealing with depression will get through what they're dealing with. If you are depressed, you're not alone. There are a lot of us out here who understand what you're going through, and there are people that will be there to help you...family, friends, professionals...all you have to do is ask. AND PLEASE DO ASK! I'm absolutely dumbfounded by the things I see people complaining about these days. I'll be the first to say that people should be allowed to believe whatever they want...as long as they're not hurting each other with their beliefs...and that's where we've started to run into a problem in this country. People are horrified about Trans people going into bathrooms. Guess what? They've always been in our bathrooms. What's even worse is that people are arguing against this because they're trying to protect our children...but children are being beaten and molested in all parts of the country, but there doesn't seem to be an interest in doing anything more about this. Really America? This is what your priorities have become? I'm a father of three girls, and I'm not the least bit worried about a trans person being in the bathroom with them. I'm much more worried about someone walking into one of their schools with a gun. That actually happens! People are upset with Obamacare. Some argue it should be abolished. Some argue it should do more. The real problem isn't Obamacare. The real problem is the health insurance companies. No matter which side of the argument you're on, the real enemy is the health insurance companies. They kind of remind me of Darth Sidious in Episodes one and two...they play each side against the other, and then continue to raise rates. Your health insurance company can now overrule the treatment your doctor wants you to have because of costs...or whatever excuse they choose to come up with. Think about that for a minute, your health insurance has more say in how your medical issues will be treated than your doctor...and you want to argue whether insurance should be privatized or publicly funded? There's a bigger problem than that. And don't even get me started on how insurance companies can choose to pay less for mental health treatment than physical health treatment when there's really no difference. There's a long and sad history of racism in this country, but for a very short while it seemed like maybe as a country we were getting away from that, but now everything seems to be about race. Do people really think they're unsafe just because there's a Muslim on the bus with them? Here's news for you America, there are jerks in every race...just like there are wonderful people in every race. The whole stereotyping thing has to end. Just because someone is Muslim doesn't mean they're a terrorist. Just like you can't say that everyone that looks like a "redneck" is ignorant. They're all stupid stereotypes that only a very small percentage of people fall into. A lot of people assume that long-haired guys are dumb...that's one of the reasons why I've tended to keep my hair long. I love messing with people who want to believe stereotypes. A lot of people are complaining that they can't believe we might end up with a Clinton-Trump election. Do you want to know why America? It's because we've lost focus on the big picture and started focusing on stupid little things that don't matter. The media has blinded us to what's really important with their fifteen second sound byte stories about nothing, and too many Americans have accepted this. So, you know what America? We're getting just what we deserve with Clinton-Trump. If you want to change America, change yourself first.